Doesn't your notification system come from ALRP? I remember seeing that on their Takistan server, I might even have the files for it from when I was a developer on there. When saying 100% form scratch, obviously doesn’t mean they have created every single script them self. I somehow really doubt that. And I sometimes stream when I code so many people know I coded this from scratch also if it was just a copy paste why use like 2 years on it? Well I will make sure come on some day and check it out then. We have released a new dev blog for the people who have not watched it and we are releasing in 2 weeks, check our website for the countdown timer. This is a non modded non whitelisted server right? We just made it modded. "Servers with monetization license can offer cosmetic content in exchange for donation. All of this houses must be also purchased by in-game currency the same way as non-donators are able to purchase their houses. The only difference is cosmetic content around or inside the house such as furniture, fountains trees etc. " "We do also allow cosmetic changes for gang bases ( trees, garden, fountain, custom texture). However this gang bases need to be purchased with in-game money. We do not ban use of gang bases on server, just their selling for money.There is only a few servers that use gang bases and are selling them for in-game currency. " "It is not a violation. You are allowed to collect donations for creating an island as well as editing donators house with custom texture, and non game affecting content around ( garden, fountain, helipad, tank wrecks, lamps etc.) However this houses can not be given for free and donator must buy it at the same price as non-donators one. You do not need to make this house available to be purchased by everyone and can only be created for donator." So to sum it up. Estates are allowed to be donated for however, any house must be purchased with in game currency. Just wanted to clear that up. The development on the server looks amazing so far! Our server is now live with the custom framework so all you need to do is go on our website and install our addons and you're ready to go! Modern Life RPG is launching today so anyone who is interested is welcome to join, Nais sadly cannot access the Forum anymore so I am going to add our advertisement post which will hopefully cover the features surrounding the server and our community. Do not be alarmed by this release as knowing us here in this Arma community servers come up all the time with nothing custom and nothing developed. Everything here is 100% coded by the Director Nais who tirelessly worked on developing the server for 2 years now and starting the community mid January. Here at Modern Life RPG everyone is listened to and all suggestions are considered and Bug reports are very welcome, the completion rate is also very rapid. To start off by saying the best way to find out everything is by trying the server or simply connecting to the Teamspeak and signing up on the website to find out more for yourself but I will list the top 10 features I personally love. 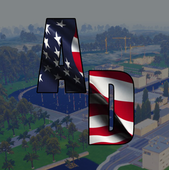 - All players are civilians, to be apart of a faction you have to travel to the stations (police and fire and rescue (to sign on and off duty) - A dispatch system for cops allowing civilians to dial 911 which connects them to a dispatcher's frequency verbally. This not only makes it easier and safer for civilians to call for help in the event of being followed, but also increasing the Response time for officers because the dispatcher can assign "waypoint missions" for certain officers to make their way there whilst the call is ongoing. - A crafting system allowing you to craft certain items in game. - Growing system allowing you to grow drugs in your home and in remote areas. - Referral codes allowing players to invite friends and earn 5,000 in-game cash per person who uses their code. - An invoicing system allowing companies such as a taxi, security or other company to invoice someone the payment that is due. - Tests that must be completed before achieving each license. - Experience system which requires you to gain a different assortment of skills such as: Driving: To buy better and more exotic cars. Mining: To buy better licenses like Diamond etc. Gathering: To retrieve a larger amount of items faster. Crafting: to craft better and more luxurious items. - Gangs can take over Territory (If you would like custom vests for gangs this may be added depending on the quantity of the members). - A solid Administration Team that goes through rigorous interviews to be entrusted with the amount of responsibility they possess. We hope to see you soon with there being many more features in the game, so feel free to add us on steam if you have any questions as we are always around to help!